GayZone 10th anniversary: Looking back, Looking forward. 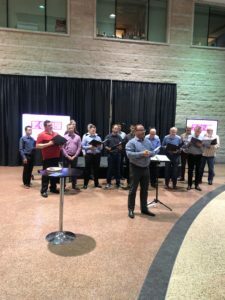 Gay ZONE is a weekly HIV and STBBIs prevention community clinic and wellness centre that serves guys into guys in the Ottawa area, offered in partnership by OPH, CCHC, MAX Ottawa, SWCHC and ACO. Gay Zone is a great example of multisectoral partnership, bringing together community health centres, grassroots community organizations and public health. We celebrate 10 years of successfully providing a safe space for guys into guys to get tested and access a wide range of health promotion and wellness programs and services. 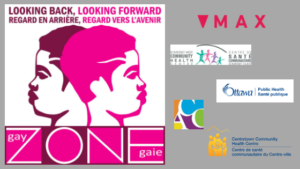 As we look forward to the next 10 years, the GayZone partners are strategizing and will consult with the communities to ensure they meet the health needs of its ever-expanding and more diverse communities focusing on the integration of services and focusing on a holistic health and wellness approach. 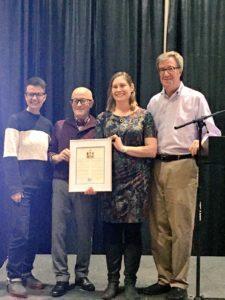 Mayor Jim Watson and Councilwoman Catherine McKenney surprised Barry Deeprose with a service award for his work as a founding member and longtime commitment to making GayZone the success it is today! 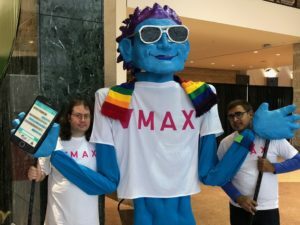 MAX volunteers showed off a special guest, our MAX Pride Puppet! 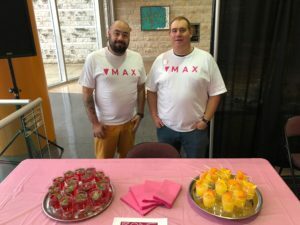 MAX Volunteers served up some cool and refreshing mocktails!